Abraham didn’t stagger in his faith. Rather, he was “fully persuaded that, what (God) had promised, he was able to perform” (Romans 4:21). He recognized that God is able to work with nothing. Indeed, our Lord creates out of a void. Consider the Genesis account: out of nothing, God created the world. With just a single word, he creates. And he can create miracles for us, out of nothing. When all else fails—when your every plan and scheme has been exhausted—that is the time for you to cast everything on God. It is time for you to give up all confidence in finding deliverance anywhere else. Then, once you are ready to believe, you are to see God not as a potter who needs clay, but as a Creator who works from nothing. And, out of nothing that is of this world or its materials, God will work in ways and means you could never have conceived. How serious is the Lord about our believing him in the face of impossibilities? We find the answer to this question in the story of Zacharias, the father of John the Baptist. Zacharias was visited by an angel who told him that his wife, Elisabeth, would give birth to a special child. But Zacharias—who was advanced in years, like Abraham—refused to believe it. God’s promise alone was not enough for him. Zacharias answered the angel, “Whereby (how) shall I know this? For I am an old man, and my wife well stricken in years” (Luke 1:18). Simply put, Zacharias considered the impossibilities. He was saying, “This isn’t possible. You’ve got to prove to me how it will happen.” It didn’t sound reasonable. 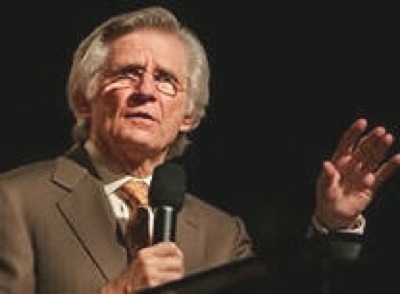 Zacharias’ doubts displeased the Lord. The angel told him, “Behold, thou shalt be dumb, and not able to speak, until the day that these things shall be performed, because thou believest not my words, which shall be fulfilled in their season” (1:20).